Nutrisystem was established in 1972. It was founded with the idea that it will become an alternative to existing DIY diets. The program they offer is simple and it provides nutritious meals that are pre-portioned directly to your front door!DIY diets oftentimes fail because they are not structured well, they are inconvenient or people are not disciplined enough to go through with the plan. It requires time and energy to plan, prepare and portion your meals ahead of time, and that is a big obstacle in today’s busy world for people that are into DIY diets. Maybe you are wondering, will Nutrisystem work for me? Let’s say it like this: different strokes for different folks! Whatever the topic may be, people have different preferences, depending on their culture, lifestyle, personality, etc. It is the same thing when it comes to picking out the right diet. So you should take into consideration what you enjoy, what you want, and what you have to consume. The final result of this consideration is going to be different for everybody. So let’s dive in and take a close look at Nutrisystem and how it can serve both men and women. We are going to take a closer look at some of the reviews and ratings. And finally, we will take a look at the cost of Nutrisystem to help you decide whether it can help you and what you are trying to achieve! Nutrisystem is a commercial diet plan aimed at people that are trying to lose weight. The plan is simple. You get pre-portioned, ready-to-eat meals at your address. You also get some snacks with those meals. This service can come in quite handy, especially for people that simply don’t have enough time to do all of the necessary work by themselves. You will have to heat your meals constantly and the portions are not so rich, and that might be annoying after some time, but then again, the goal is to lose weight. This Nutrisystem program is based on calorie restriction, which is a tactic that guarantees weight loss over time. Nutrisystem also utilizes the glycemic index. It measures how different carbs affect blood sugar. The Nutrisystem program is rich in protein and good carbs that can be found in vegetables and whole grain foods. This helps people to feel full for a longer time and keeps your metabolism and blood sugar in balance. Depending on the specific plan, there are different plans for gender, seniors, diabetics and vegetarians, you will eat 5-6 times a day. The Nutrisystem program can also be tweaked for people that need a low sodium diet. Nutrisystem has changed over time, but the company has always claimed that they can make your weight loss process easier. And when you don’t have to think, stress, cook, count calories, etc, it is easier. All you have to do is eat the food delivered at your doorstep and stick to the program! That is why Nutrisystem has created its 28-day long program. For all of those out there that need help with the logistics. They deliver perfectly portioned, ready-to-eat, nutritious meals to your house every month! The meals are rich in lean protein, good carbs, and fiber and furthermore, they are low in bad carbs and saturated fats! And if you are interested in truly understanding the Nutrisystem program, then you have to understand these 8 facts. 1. The food you love can love you back! Nutrisystem takes the food that you love and makes it healthier. The trick is healthy and high-quality ingredients and of course balance. Balancing those ingredients can put your body into a healthy fat burning process that will result in healthy weight loss over time! And that is the real trick, finding that balance. To give your body the balance of nutrients so that you have enough fuel, but still lose weight in a healthy manner. To be rich in lean protein that comes from different sources; meat, eggs, poultry, dairy, and fish. Fiver makes you feel like you have a full stomach for a longer time. It is also good for digestion. It uses low-glycemic carbs like fruit, whole grain foods, and vegetables. It contains low levels of saturated fats and there are no artificial sweeteners of flavors. Research has shown that the first pounds a person loses have a highly positive impact on their motivation and that impetus makes the rest of the process easier. That is why all Nutrisystem programs begin with FreshStart® in the first week. The main goal is fat burning. FreshStart® achieves this thanks to the balance between nutrition and calorie restriction. That balance causes your body to start burning fat instead of carbs for energy. This can also help people to break free from some eating habits that might be detrimental to their size and health. If you ever had to keep a campfire going you know that the best thing to do is add little by little on to it. It is the same with the body. Research has shown that smaller meals that are nutritious should be consumed more often through the day to maximize the effects of the diet! You will eat on average every 2 to 3 hours or 5 to 6 times every day. You can enjoy every Nutrisystem meal plus snacks in between. Nutrisystem also supplements their meals with fresh produce. And that includes some Flex™ Meals. You will be able to supplement these with dairy and lean proteins that are called PowerFuels, and fruits and vegetables rich in high-fiber called SmartCarbs. You should also combine them with Flex™ Meals for variety and of course the main goal, weight loss. Variety is always a good thing when we are talking about a diet. That is why you will be able to create one breakfast, one lunch, one dinner, and one snack by yourself! Those meals can be whatever you want it to be homemade or restaurant. Nutrisystem gives you the rules for eating out or the recipes for your cooking to make things easier! People that keep a record of their food consumption and their meals double their chances of losing weight! That is the reason why Nutrisystem has created its NuMi app. The app is a simple and effective way of tracking your progress, food consumption and exercise. Nutrisystem created the app to help people to maximize their potential and success. It tracks and records what you eat. NuMi has access to all of the information about Nutrisystem’s meals, and you can simply choose your own plan within the NuMi app so you don’t have to enter it manually. This app will give you daily tips to help you stay on the grind, from inspirational quotes to actual suggestions about activities. You can also sync it with apps like Jawbone, Fitbit and Apple Health. This will allow you to monitor your progress even more closely and in more detail. NuMi includes all the Nutrisystem’s plans, it is easy to use and it is completely free. 6. How Many Pounds Can I Lose in the First Month? For women: Around 13 pounds and 7 inches. For men: Around 18 pounds and 8 inches. In the following months, the objective is shed 1 or 2 pounds weekly, until a person gets close to their goal! If you are asking yourself whether it is possible to really lose that much weight in the first month? Yes, it is! The average for men is 15 pounds and for women is 11.6 pounds. Kit with pre-selected ready-to-go foods. Choose from a varety of foods, or try the Chef’s Choise Pack. Enjoj more menu variety, inculuding delicios frozen foods! Our best menu with delicious frozen foods plus high-protein shakes. 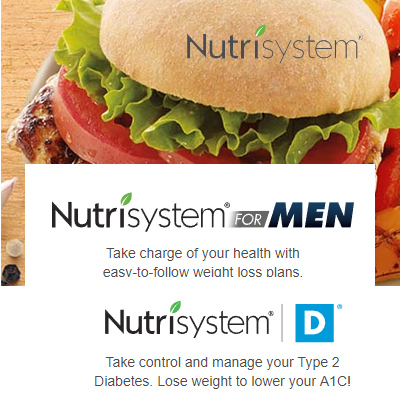 Nutrisystem offers 4 levels for both men and women. The plans are quite similar and the biggest difference that you will have to pay extra for a broad variety of meals. Basic: Food that is pre-selected. It does not have as much variety of food as some other programs. Core: This program is the favorite among people, it also offers a menu of 100+ different foods. Uniquely Yours: This plan is rated the best of all of their plans. It offers people food of the best quality. 150+ different foods and it offers frozen foods in unlimited amounts. Uniquely Yours Plus: This plan has all that Uniquely Yours offers and on top of that you will get protein shakes for, one for every day! Every plan can be customized and personalized for men, women, vegetarians, and diabetics. Reducing the feeling of hunger and maintaining the balance of sugar. The basic program includes all 3 meals, a bar a day, and a protein shake on top of that. Nutrisystem selects which meals are sent to you. The cost is $274.99 ($9.82 per day) with delivery for women. It costs $314.99 for men or $11.25 a day, with delivery. You can also upgrade this plan to make it custom so that you can choose your meals, it costs $336.97 for guys and $296.97 for girls. The Core program offers all that the basic offers but it has more choices of foods. By choosing Nutrisystem you will get other perks as well like access to counselors and dietitians, trackers and more. This program begins with $10.54 a day or $294.99 a month for women and for men, the price is $334.99. The delivery is included in the prices. Also, the custom Core plan costs the same. This Nutrisystem’s plan starts with $11.96 a day and it gives you a full range of foods to choose from. That means 150+ meal at your disposal and it also includes frozen meals, unlimited number! The cost for women is $334.99 and for men, it is $374.99. The delivery is included in the prices. The vegetarian program, which costs for women $11.96 a day and for men $13.39 a day. The plan for diabetics is for women $9.82 a day and for men $11.25. So the cost of Nutrisystem is around $300 a month plus the cost of extra groceries that include fresh vegetables and fruit. 8. Where Can I Buy Nutrisystem and How can I Get a Good Price? If you are considering Nutrisystem you should also consider how to get a good price on your deal! The best option for a good deal is the 40% off promotion. The price of others goes up quickly and some go up even in the second month, but the low membership 40% off locks you in that price range. They also offer codes to get an extra $30 off on your membership. Where Can I Get Nutrisystem? You can get it from Costco. It is the easiest to get Nutrisystem is the internet. On their website, people can choose different plans and meals that are available for the specific plan. Nutrisystem can also be purchased in retail, like Walmart. In Walmart usually, you can find Nutrisystem shakes and shake mixes and protein bars. Sometimes it is possible to find a sale in Costco, and they also sell gift cards for Nutrisystem. Discounts can sometimes be found on Groupon. Nutrisystem sounds like a solid idea but does it really work? So we are going to take a closer look at two very important indicators; ratings of experts and the satisfaction of customers. Because there is no official success rate of Nutrisystem the best indicator we can look at is the user ratings. And you can look at those for yourself. There are thousands of user ratings on their site where they share their experiences with Nutrisystem. U.S. News has ranked Nutrisystem 5th on the list of best commercial diets, with number 1 being Weight Watchers and number 2 Jenny Craig. A panel of experts on diet and experts on diabetes and heart disease were asked to rate Nutrisystem on these criteria: short-term weight loss and long-term weight loss, simplicity and healthy or not. Short-term loss of weight: (3.7/5) Nutrisystem got the highest rating here and the judges agreed that Nutrisystem’s calorie restriction and portions restriction is effective. Long-term loss of weight: (2.5/5) Nutrisystem got a low rating here. Probably because long-term diet depends entirely on the user and his tracking and eating of almost exclusively Nutrisystem’s foods. Some people get tired of their food choices and they go outside of the plan. Simplicity: (2.5/5) Nutrisystem is extremely convenient. It is probably the favorite of busy, working people. The food is pre-portioned and prepared and as such, it is delivered to your doors monthly with instructions! The score that the experts gave it probably reflects that it is not so easy for an individual to adjust to a limited menu that asks for discipline. Healthy: (3.3/5) Nutrisystem got a good score here. The high-protein and low fats meals that Nutrisystem offers exceed the FDA’s recommendations. And the meals are significantly healthier than the meals an average American eats. Let’s take a look at the recommendations of the FDA for daily nutrition and see what an average American eats, but in short yes. Nutrisystem exceeds most of the daily recommendations of the FDA for nutrition and that includes protein, fiber, calories, carbs, and sodium. Also, the program is much better for your health than what an average American eats daily. Nutrisystem is only one of the programs designed for weight loss. For example, Medifast and Jenny Craig programs are quite similar. Food: The food is pretty good at both of these. Entrees on the Jenny Craig program are frozen. Some might find this unattractive. Nutrisystem offers meals that are frozen and shelf-stable. Because of this Nutrisystem might be a tad more convenient. But if we are talking strictly about food quality, both programs have pretty good food. Cost: Jenny Craig is more expensive than Nutrisystem. But both programs might be considered steep in terms of price, at least for some people out there. Support: Nutrisystem and Jenny Craig both offer online support. The services are similar but Jenny Craig has better support for dieters. They also have centers for weight loss where you can meet them face to face. And dieters that don't go to a center get a counselor that follows up with them to check their progress regularly. Nutrisystem does not offer counselors for all plans and they don't have centers for weight loss, os face to face support is not an option. It is important to note that there is no such diet that is going to work for all. Different diets for different people. Nutrisystem is amazing for a person that needs convenience, for people that don't want to worry about calories and nutrients. So if this is something that is extremely important for you then Nutrisystem is the best diet program out there for you! Is it Easy to Follow the Nutrisystem Diet Plan? Can you lower the number of times you eat out? Can you resist the temptations around you? Now, Nutrisystem simplifies dieting as much as it is possible; you no longer have to worry about calories or nutrition, you don’t have to prepare your food. But at the end of the day, it all comes down to you and your will to succeed. Nutrisystem gives you a bit of freedom with their Flex meals so that you can indulge in occasional cravings. So at least speaking in short-term you should not get tired of the limited menu. So following it is quite easy if you have the determination to succeed. This program was designed to be simple and easy to follow. Restaurant meals and alcohol is not forbidden but they are rarely allowed. And the main entrees you can order them from the comfort of your home. While you are using Nutrisystem you will not need many recipes, but if you do need you can find them easily. If you are bored from pantry foods and frozen foods, Nutrisystem has many recipes online and a partnership with the site called The Leaf. While you are using Nutrisystem you should try to avoid eating out. It is not easy, but it is for the best! So if you do go to a restaurant that meal counts as one of the Flex meals for that week. Nutrisystem offers a guide for eating out which can come in handy. This program is a great time-saver because the food comes pre-portioned and packed. To find the right plan for you and order it online is quite simple. You can also choose to pick each meal for yourself you also have the standard option of favorites package. And if you chose that package you will not have to think about a single thing, just follow the plan. And then you need to get some fresh produce Nutrisystem has you covered. They have a list of recommendations and choices that you can combine with your plan. Nutrisystem offers a lot of tools and resources to help you stay on the path. You can track your weight loss, meals and exercise through an app called NuMi. You can also talk to a Nutrisystem’s counselor for support. There are many devices that can be synced up with the NuMi app. When you feel like you are ready to get off the Nutrisystem plan, you have access to coaches and recipes and a plan called Nutrisystem Success. It is designed to help you in your transition to making your own meals. There are also free online resources that you can use. Lose Weight and get healthy with our easy-to-follow plans! Chose 90 + vegetarian-friendly foods, including frozen! Hunger might be an issue but it should not while you are on a Nutrisystem diet plan. Entrees are going to be smaller than you would like, but you will consume protein to supplement, produce rich in fiber and vegetables. Eating regularly at every 2 or 3 hours should be enough to keep your stomach from growling. There was a survey done in 2009 by the National Business Research Institute, in which 80% of people said that Nutrisystem was able to keep the hunger at bay. Nutrisystem meals should be enjoyable for most people. In 2011 a taste test was done by Consumer Reports. Nutrisystem’s meals and Jenny Craig’s meals were given to consumers, and admittedly Jenny Craig was the winner by a hairbreadth. Even though Nutrisystem lost the race, the overall rating of the participants was still good. A survey done by the company in 2010 found that 9 out of 10 people were satisfied with the taste of Nutrisystem’s meals. 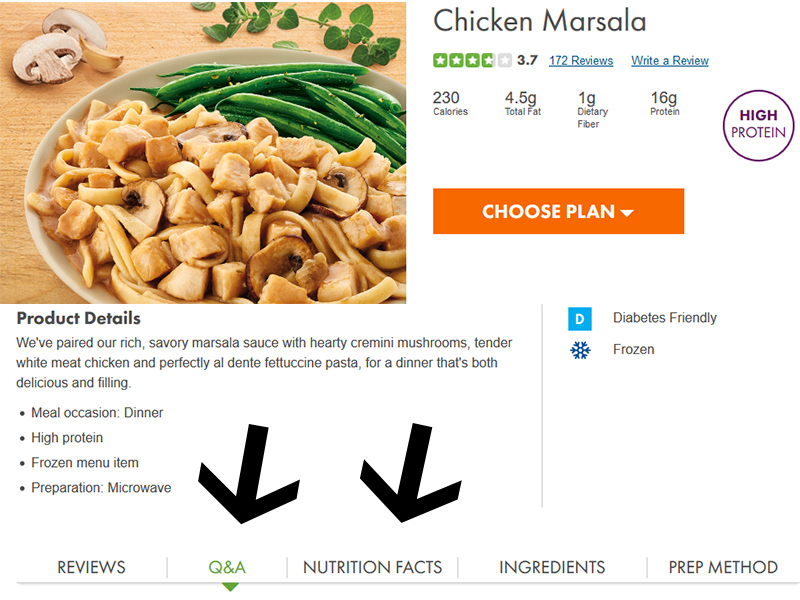 Nutrisystem often introduces new meals to the menu and removes them from it according to the feedback from customers. The food on their menu has no artificial flavors or sweeteners. Ok, let’s consider all of the reviews, ratings, and info and decide whether Nutrisystem’s 28-day program really works. Review of Men's Nutrisystem, Does This Diet Work? If you are considering to start a diet, that is an important decision, but it can also be an intimidating one. That is why you have to know what you are getting yourself into. Men’s Nutrisystem is pretty much the same as what we talked about so far but it was created specifically for me. Their TV commercials say that a man can even lose 18 pounds in the first 30 days, but does this make it the right one for you? That is exactly why you should read up on dieting before you make your final decision. All of the Nutrisystem’s plans are pre-portioned, packed meals that come to your doorstep every month. The convenience that you get with Nutrisystem is amazing and you will no longer have to worry about calories, portions or preparation! Pretty much everything is done for you, all you have to do is heat the food and eat every 2 or 3 hours. The only exceptions are fruit and vegetables that you have to buy from time to time to supplement their meals. You will eat 6 small meals per day. Supplement your meals with fresh produce. You can enjoy up to four Flex meals every week. That includes healthy restaurant dishes or your homemade food from Nutrisystem's online recipes. Begin with the “Fresh Start“ plan the first month, and lose up to 18+ pounds and lose up to 8+ inches in your first 30 days! After the first month, you can expect to lose 1-2 pounds a week, on average.- Plan options? Once you signup for Nutrisystem you can choose from their four plans. Simply put if you pay a bit more you will have more food options and the Uniquely Yours Plus plan gives you 28 shakes every month. All plans bar basic include unlimited online support which includes access to dietitians, counselors and online trackers and tools. The Uniquely Yours program gives people complete menu freedom, which means that you can choose from the 150+ meals and snacks. All of the plans come pre-portioned and the food is rich in fiber and protein and it contains low amounts of bad carbs. The delivery of the food is included in the price, and it is being delivered by FedEx each month, and you can switch up your menu for the next month at any time. Nutrisystem for me costs around $1 daily more than Nutrisystem for women. This is because it contains a bit more food to meet the needs of men’s daily calorie intake. As we mentioned before the best deal right now is the 40% off promotion. So if you are considering Nutrisystem, keep that in mind. What do Men Like About Nutrisystem? As we said before Nutrisystem’s diet is simple and because of that, it is a favorite among busy people. Nutrisystem was ranked as the 5th best diet plan by the U.S. News and World Report. It is also ranked pretty well in the category of diets for fast weight-loss. With Nutrisystem, men can lose up to 18 pounds in the first 30 days! This diet will provide your body with enough nutrients, fiber, and protein so that you won’t even have to think about it, just eat it. They also offer special programs for diabetics and vegetarians. New customers get a 40% discount, and that price is that price you will continue paying! Go past their homepage, you will pay more if you signup there. It is extremely convenient you just have to follow the regimen and maybe heat it up a bit. Nutrisystem for men is a tad more expensive than the female equivalent. Nutrisystem for men plans cost $1.50 more on a daily basis. Not a huge difference, but it adds up and you should know that. Why does Nutrisystem for men cost more? Well, it’s quite simple. Men are on average taller, bigger than women. Because of that, their bodies need more calories. So men’s plans have a bit more food to make up for that difference. Other than that the plans for men and women are quite similar. Nutrisystem cost also differs depending on which plan you choose. The average cost is $12 a day. With some coupons, the price can be lower. And the biggest difference between plans is the variety of foods at your disposal. The more options you have the higher the cost of the Nutrisystem plan. BASIC, CORE, UNIQUELY YOURS! Those are the name of the three plans that are available. Which one should you get? Well, that depends, on the various options for foods and do you want to have access for extra support from counselors and dietitians. BASIC Plan: Pre-selected meals, does not offer “unlimited” support. On the other hand, it’s the cheapest. If you don't mind the pre-selected meal choices, then this might be for you, and you can save some bank. CORE Plan: This one is the top seller. It has extra options and it allows people to choose from over 100 different meals and snacks. Uniquely Yours: Best variety; it offers over 150 different foods and it offers unlimited support. On the other hand, it is more expensive, around $1.50 a day. Does Men's Nutrisystem Actually Work? While trying to find an answer one of the things we looked at was the ratings of 4760 customers on their website. Their rating system is for both men and women and after sorting through them we learned that around 80% of the ratings were either 4 stars or 5 stars. That’s a pretty good average if you ask us! Based on the customer reviews and aforementioned expert rating we conclude that Nutrisystem does actually work. Maybe not for everyone but it surely does for the majority of people. Nutrisystem has been researching weight-loss and how to optimize their product for years in order to have something that can truly help people. Because of that research, they have developed a balanced plan that offers nutrition, portion sizes and calorie restrictions that are optimal for weight loss. Your job is to stick to it to the best of your ability! Now, because people are different that means that it is not 100% successful, but then again what is. Nutrisystem for men is an extremely convenient diet plan. They have created pre-portioned meals and snacks that get delivered to your house, and you just have to heat it up! Their food is rich in fiber and protein and that keeps you full for longer. All you have to do is buy some produce from your grocery store to supplement your diet. The biggest difference between Nutrisystem for men and women is that men get an extra snack. That makes plans for men a bit more expensive on a monthly basis. In the first 30 days, men can lose up to 18 pounds! But does it actually work? Well in short, yes it does. To make it a little longer, it works but not for all. It works for the majority of men. It is a commitment as well, you should be aware of that. So if you think you can honor your commitment then Nutrisystem might just what you need. Dean M. Lost 245 Lbs. * & He’s Not Turning Back “If I can do it, you can do it.”Dean turned his life around with Nutrisystem. Now he's living healthy and eating better— without giving up all the foods he loves. “I can’t remember the last time I had this much energy.”—Krissy F. lost 36 lbs. *After developing a healthier relationship with food, this mom of two discovered a healthier outlook on life. Nutrisystem for women is based on balanced nutrition, portion reduction, and more frequent small meals. The fact that they deliver pre-portioned meals every month means that you don’t have to worry about the portion sizes or calories. Nutrisystem has a plan for everything to the smallest details. You even get instructions when to supplement your Nutrisystem meals with fresh produce. There are 3 different plans; Basic, Core, and Uniquely Yours and they are different from the men’s plans because of the different nutritional needs of both genders. All three Nutrisystem programs start off with FreshStart®, and this allows you to get a jump on things in the first 30 days. It is possible for women to drop up to 30 pounds of weight and 7 inches in those 30 days! Should Women Eat Many Times a Day? While using the Nutrisystem women will have small meals and snacks. Also, women should eat every 2 to 3 hours which means 6 times a day! Women are on average smaller than men, so on average Nutrisystem for women has a bit less food and that is why it is a bit cheaper than its counterpart for men. Nutrisystem for women provides 1200 to 1500 calories daily. The menu is different every day but when you finish all your meals for a specific day the calories add up to this number. This range of calories is not arbitrary. IT is a recommendation of the world’s most renowned experts on diets for women. So, you will not have to think about calories while you are using Nutrisystem since all the meals are delivered in pre-portioned packages. Your job is just to heat them up and eat them up! What Kinds of Foods are on the Menu? When you signup for Nutrisystem, the first month your menu is chosen for you. And after that you have a choice, you can switch it up and make your own menu or you can have the chef’s choices on your menu. You will have more than 150 different meals to choose from, and if there is a meal you don’t want just remove it from your menu, or if you want something just put it on the menu. Meals that Nutrisystem provides you with should be supplemented with fresh fruits and vegetables. There is a list of these foods and they are placed into categories: Vegetables, PowerFuels, SmartCarbs, and Extras. The details about the groceries are a very useful guide for beginners. We already mentioned that Nutrisystem’s diet plans contain a lot of low glycemic carbohydrates and protein. And that is where most of the calories you consume come from! Also, Nutrisystem either meets or exceeds the FDA’s recommendations for daily nutrition. Is it Healthy for Women? Health is one of the most important things in life. So if you lose your weight but you lose your health as well, what is the point then? Nutrisystem’s diet plans contain enough nutrients to keep women healthy and on a sustainable diet. The plans exceed the recommended amount of carbs, calories, sodium, and protein that a woman should consume every day. All you will have to do is go to your grocery store and get some fruit and vegetables. And there are clear instructions from Nutrisystem on how and when to do it. And of course, a little exercise every day goes a long way for both your diet and health! Once you signup for Nutrisystem you will know the number of calories you are consuming and on top of that, you will know the exact amount of protein, sodium and more details for each snack. How Much Will Nutrisystem Cost a Woman? Nutrisystem‘s price is quite similar to some other services that offer diet meals with delivery. The Core costs around $10 per day. And if you have a coupon you can get a discount. They also offer a 40% discount for new customers. This is the best deal that you can find online, and an important thing to mention is that the 40% promotion will not change after a month or two. The price you get when you signup as a new customer is the price you will pay, that’s it. They offer coupons from time to time as well but those change and you will have to check do they have some. Antioxidant vitamins (A, C, E) – These vitamins fight against free radicals, which are the cause of many diseases and aging. Vitamin D – The Sun is good for the body. Also dairy has a lot of Vitamin D.
Vitamin K strengthens the strong bones. It also prevents heart disease. B Vitamins and Folate – It is important for the metabolism and the brain. It is also quite important if you are planning to have a child. Iron – Prevents anemia, and it is very important during periods. You can find it in meat, eggs, leafy greens, fish, etc. Losing weight fast: The FreshStart program that starts off the first month is designed to speed things up at the start. In those first 30 days, men can drop 18 pounds and women 13 pounds. In a comparison done by U.S. News Nutrisystem was rated the best in this category of all the other diet plans. Convenience: Nutrisystem is extremely convenient. Every month you will get at your doorstep pre-portioned, packaged meals. You don't have to count carbs and calories. You just have to heat up the food and eat it up. This makes it great for people that don't have enough time or simply don't like cooking. The Cost: Some people complained about the price of Nutrisystem. But if you look at it realistically it is not that much. The average monthly budget is $250+ just for food. We often spend more than that. Nutrisystem is around $300 a month. That might be less than you are spending right now on food. So the cost is pretty much the same as you are already spending on food. Health: The daily nutrition that you get from Nutrisystem's meals meets the demands of our bodies. And when the amount of fiber and protein exceeds the recommendations because it helps to fight the cravings. We mentioned that you would have to get some fruits and veggies to make sure that your vitamin intake is enough. But this is true for all pre-portioned diet plans. Structure: DIY diets are often cheap and sometimes free, but the success rate is not that flattering. They lack structure. Nutrisystem has a tested and proven program that works. All you have to do is follow it! Cancellation fee: Many users are not so happy about the cancellation fee of Nutrisystem. In the first 14 days, you are to cancel your Nutrisystem plan. If you do it after the first 2 weeks and before the second delivery, they will charge you $125. Food taste and variety of foods: Going from complete freedom of choice to a limited menu can be hard. Some users were unhappy that there was not enough variety, especially for vegetarians and people that want gluten-free meals. Too much Sodium? Some reviews were complaining about the high sodium in meals. The daily amount of sodium in Nutrisystem is 2300mg. The FDA's recommendation is exactly 2300mg a day, and an average American takes in on average 3400mg daily. For people that have diabetes, Nutrisystem offers different meals that contain less sugar and sodium. Price Increase: Not all of their promotions are not long term, and after the initial discount the price will go up. Usually, coupons are only for the first 3 months and in the 4th month, you will have to pay more. The best deal they offer is their 40% off deal. And the important thing is that this promotion of 40% is permanent, it does not change after 3 months! Reading the negative reviews about Nutrisystem can be insightful and can help people to see and understand the advantages and disadvantages. You can see why it works and why it does not work for some. Most people want to know about the quality of food before they commit. This is a subjective category, but our opinion is that their meals taste good. Now some don’t or maybe you like something that we didn’t. So the taste is not a set category, it is a preference. The best entrees are the fresh meals that were frozen. They are only available on the plan Uniquely Yours, which is the priciest. But their shelf-stable food is pretty good as well. And they are pretty easy to carry if you have to eat out or at work. The only thing we were not thrilled about is that the food is processed. And the snacks and the entrees are great with helping people to control their portions, they are not the healthiest choice in the world. If a person gets used to some food for Nutrisystem and they continue eating it even after the diet is over, they might regain weight. But to combat this possibility Nutrisystem offers another program to help people to transition. People that have reached their goals often need support in order not to go back to their weight. All the plans that Nutrisystem offers include support, and that includes tracking and guides for eating out. Plans like Core, Uniquely Yours, Vegetarian and Diabetics also have the option of calling a counselor or a dietitian. Most of the counselors have prior experience. Now to be a counselor you don’t necessarily have to be registered dietitian. But all their counselor have a Bachelor’s with some background in Psychology, Nutrition or Dietetics. They also employ certified staff to work with people that have diabetes. People that need advice or support have to contact the company via, email or phone. There are also chats online. Counselors can help people with questions about, nutrition, meal planning, weight loss and they can give extra motivation to push on! Once you start talking to a counselor they might contact you from time to time to see how you are progressing. This is an extremely convenient diet. All you have to do is follow the instructions and adhere to the rules! Just like other popular diet programs delivered to your home, Nutrisystem also has to be heated and eaten. That’s it! Pre-portioned meals are very important as they help people with calorie control and counting. It is especially popular among people that simply don’t have enough time to do all of it by themselves, or for people that don’t like to cook. Now some people complained about the price, but we already said that if you compare it to how much you spend now, the price is probably the same or you are spending even more NOW. Nutrisystem’s plans are low glycemic programs that are also rich in protein and fiber. The goal is to help people control their appetite and cravings. Sometimes you will have to supplement your meals with fresh produce. Now, these requirements are different for individuals. Based on your specific plan, gender and consultation with Nutrisystem you will get a list of what you need! Their website has many recipes and tips for dieting. It also has a guide for eating out to help you stay in the calorie range. These online tools are very useful and especially for people that are trying to transition from the diet to cooking for themselves. The plans were designed to help people lose weight, and because of that, there are features that are fitness related. You can track your physical activity every day. It also shows how many calories you have burned. You can use this feature on their website or on your smartphone by downloading the NuMi app. Now they do not offer a real exercise plan but just some tips, so you will have to find the motivation to do that. If we are talking about a community and getting in touch with others, Nutrisystem is not the greatest. But you can still find other people on their social media. So it is possible to find people that are going through the same as you, someone that can be your support or just a friend to talk to. One thing that they do not offer is trained counselors for weight loss. Their counselors are there to support you, motivate you and make sure that you stay on the program! They do have experience in the field and can give you some tips and tricks to help you to persevere.